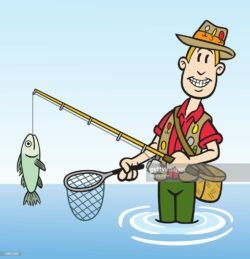 After guiding for many years, I have come to learn that fishing is called fishing, not catching. Everyone wants to catch a fish but different weather conditions, skill levels, and ATTITUDES affect if you catch a fish! My Dad told me to “make every cast like you will catch a fish!” Your skills will improve, your attention will elevate, and you will catch more fish. If you fish like you will get skunked, guess what, you will be right. Planning, preparation, and organization are also important skills. The rivers of Montana can be crowded with ranks of fishermen standing knee deep in the river. If you watch them closely, they spend most of their time looking for stuff in their vests, trying to use gear without practice, and just taking up space. Throw in tying a knot, changing a fly, and swatting at bugs and they just become rocks in the river that we can just fish around. If you measure your day of fishing by the number of fish you catch, you will never be satisfied. Fishermen never catch enough fish! The fish are just the excuse to go fishing. There are so many other things that make the day great. Waters are simply magical, beautiful, and relieve stress. With an attitude of peace, comfort, and relaxation, we fish better. 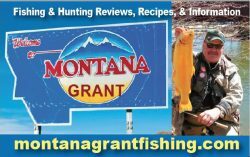 For more Montana Grant, find him chillin at www.montanagrantfishing.com.